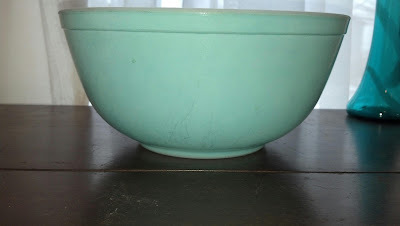 After two years of searching thrifts, yard sales, flea markets, and antique stores, I am pleased to introduce my new baby - a Pyrex turquoise mixing bowl. Not only have I never found one to purchase, I had never saw one in person at all. So yes, when I saw it on the shelf at Goodwill I squealed and practically knocked my mom over trying to reach it. Sorry Mom! Although it isn't in pristine condition (lack of shine, some marks and scratches), I am thrilled that it wasn't dish wash destroyed and still has it's beautiful color. I'm just so tickled! Finally! 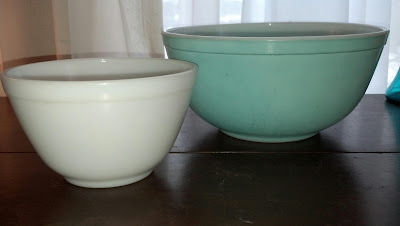 Pictured with it is it's new baby sister, the smallest opal mixing bowl. This is in fact a true opal with no present markings to identify it...which probably explains why it was still at Goodwill. It wanted a solo close up...I had to oblige. There is still some more I have yet to photograph...and I should be picking up some goodies tomorrow. So hopefully I will blog them far quicker than these finds. Happy Thrifting everyone! Wahoooo! You've got some real gems here. Love the bowls especially. How strange is it that I found my first turquoise this week too! It really is a thing of beauty isn't it? You found a bunch of cool stuff, good for you! Congrats on your finds! So exciting when you find something you've been looking for! 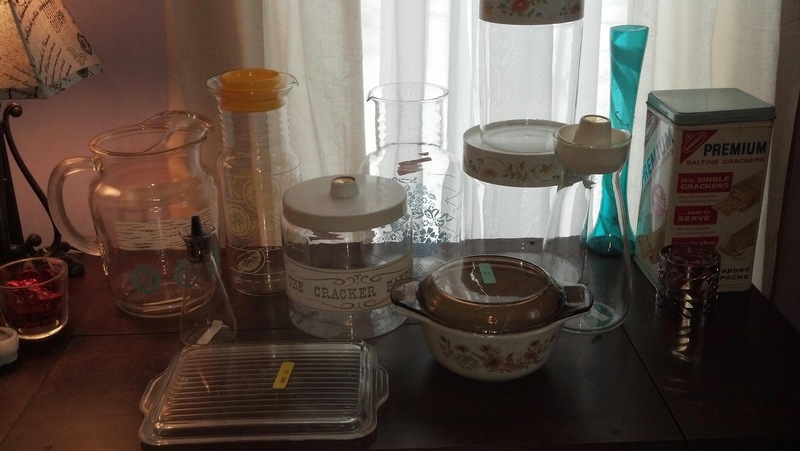 You have found lots of goodies!